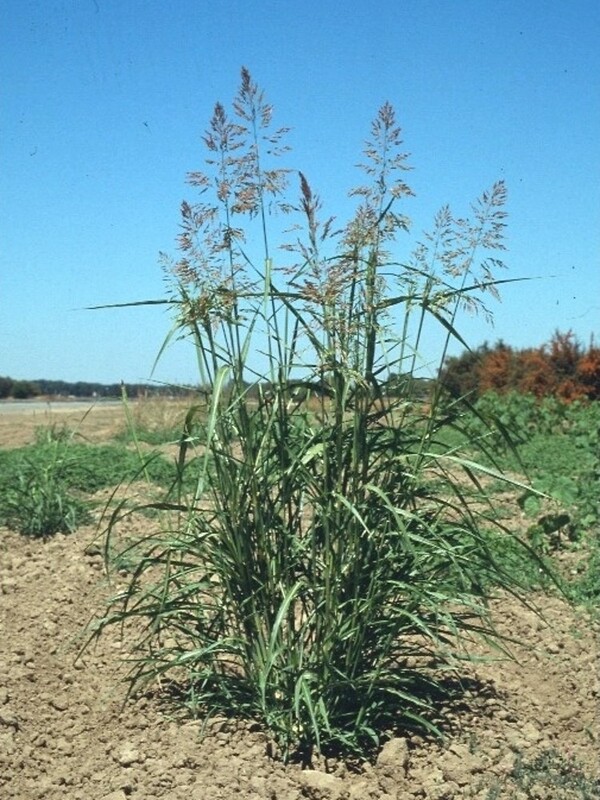 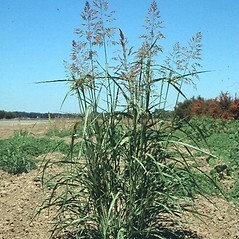 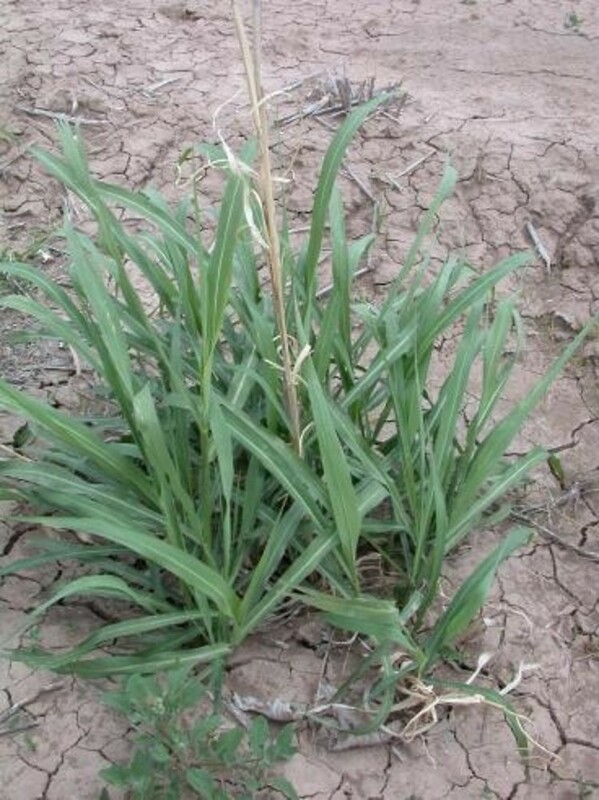 Johnson grass is native to the Mediterranean, but is introduced worldwide and has become an important weed of warm temperate regions. 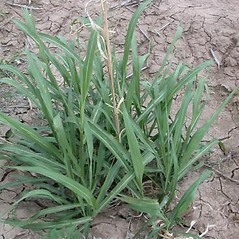 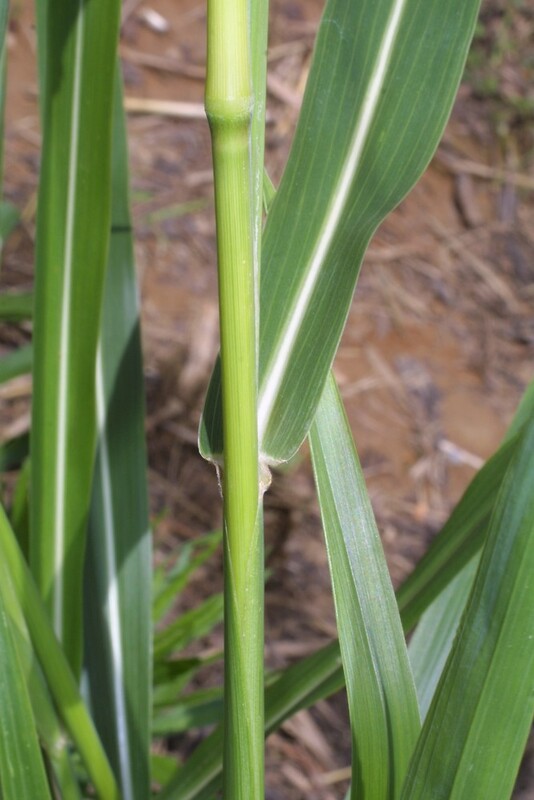 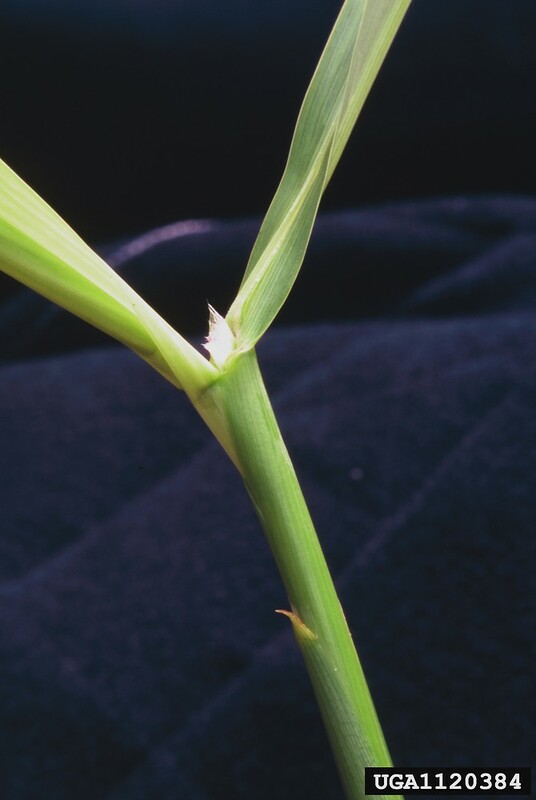 The USDA considers it one of the six most damaging weeds in the United States, due to its destructive effects on crop yields and the difficulty of controlling it. 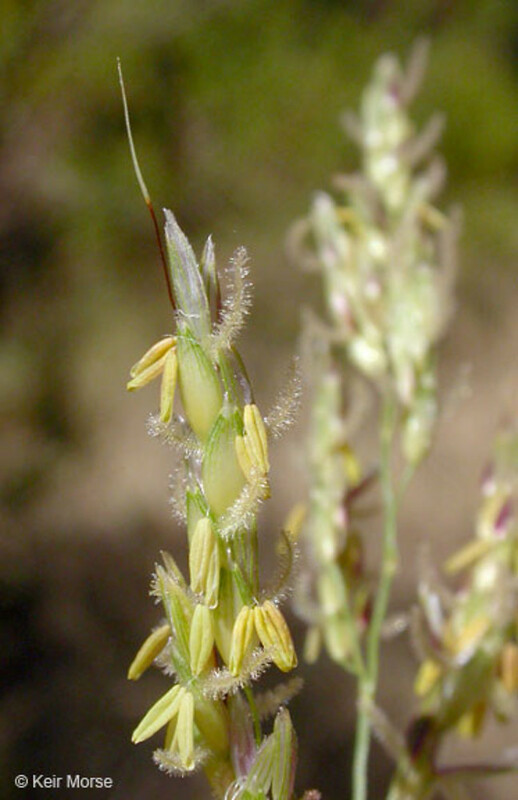 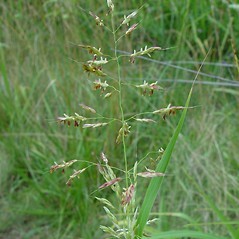 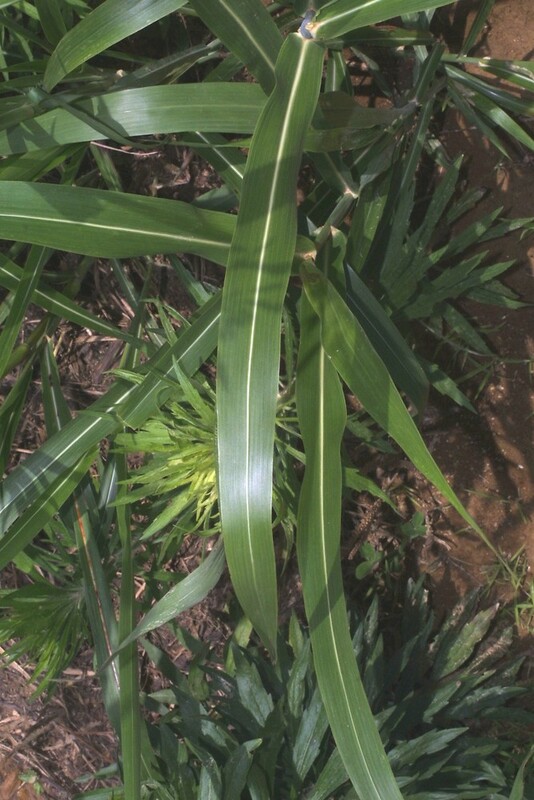 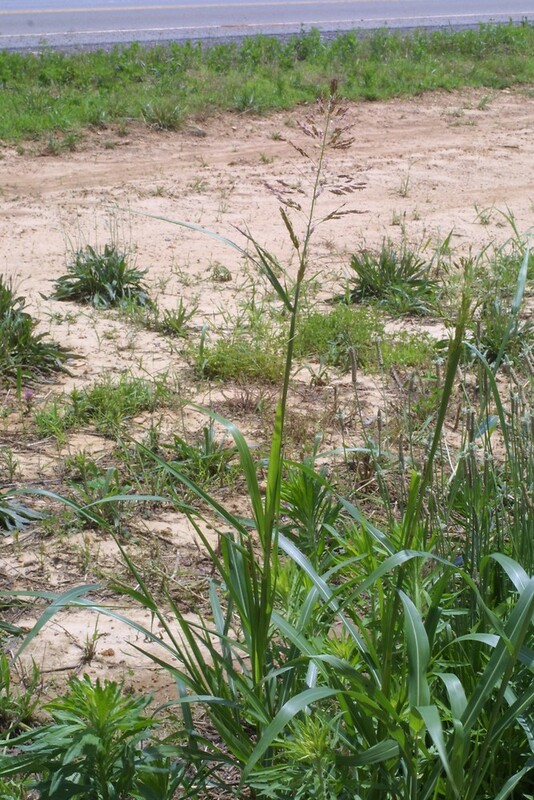 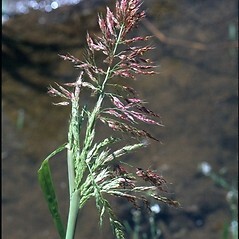 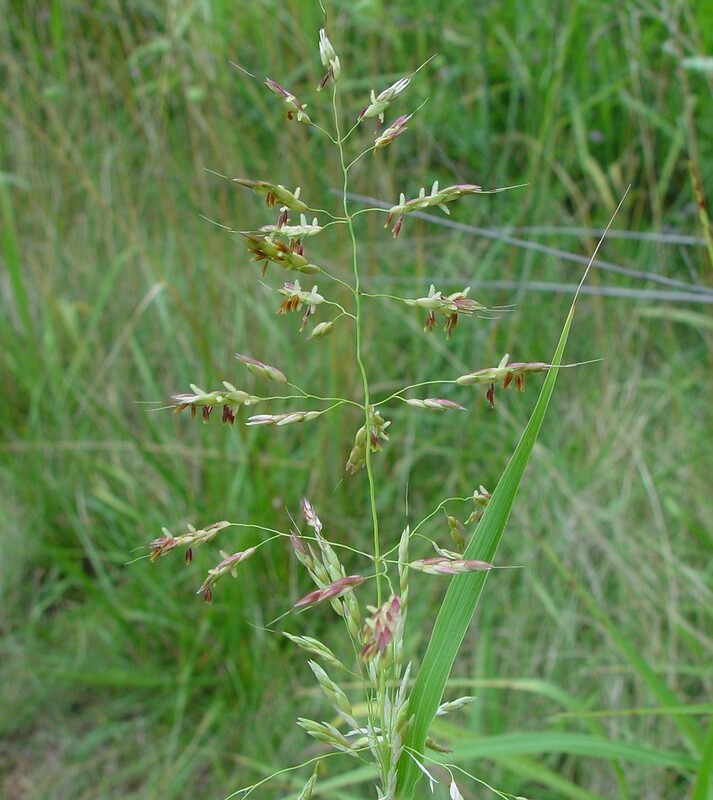 Johnson grass can be found in most New England states except for Maine. 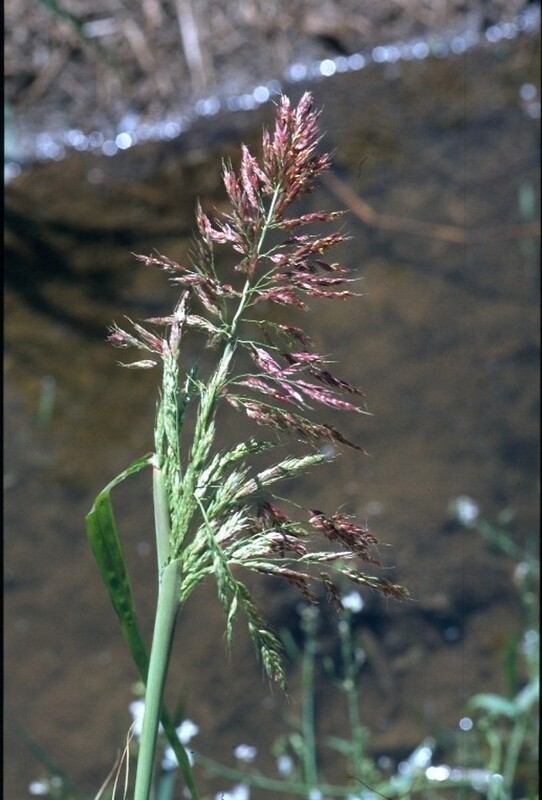 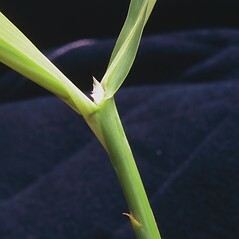 plants annual or short-lived perennial, lacking rhizomes, leaf blades mostly 20–100 mm wide, and mature spikelets not or only tardily disarticulating (vs. S. halepense, with plants perennial, with rhizomes, leaf blades mostly 8–20 mm wide, and mature spikelets disarticulating). 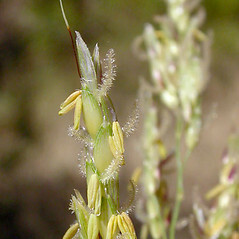 pedicelled spikelet highly reduced, represented only by its pedicel, awns of sessile spikelet mostly 10-20 mm long, and anthers mostly 3-5 mm long (vs. S. halepense, with pedicelled spikelet of the pair diminutive but formed, awns of sessile spikelet 0-13 mm long, and anthers 1.9-2.7 mm long). 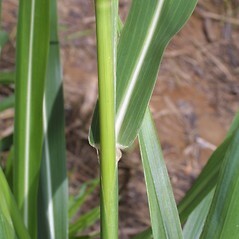 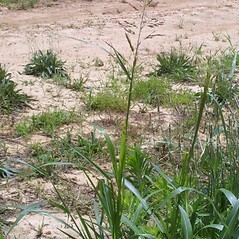 Johnson grass. 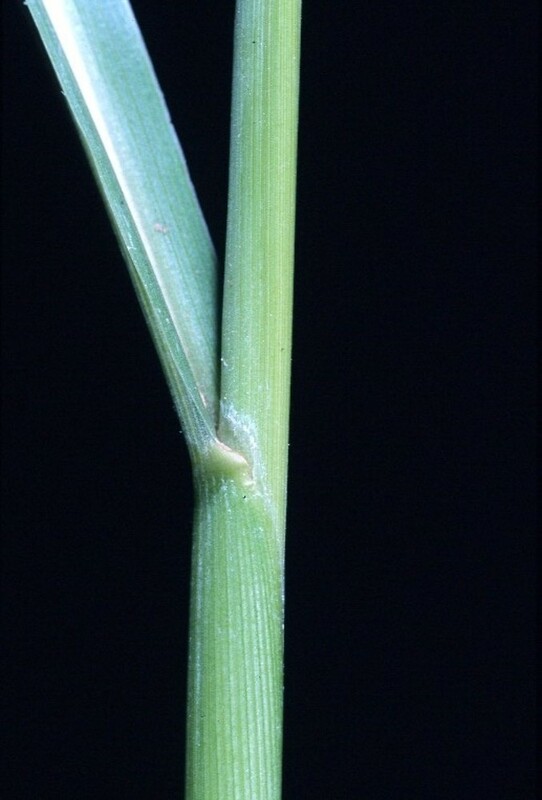 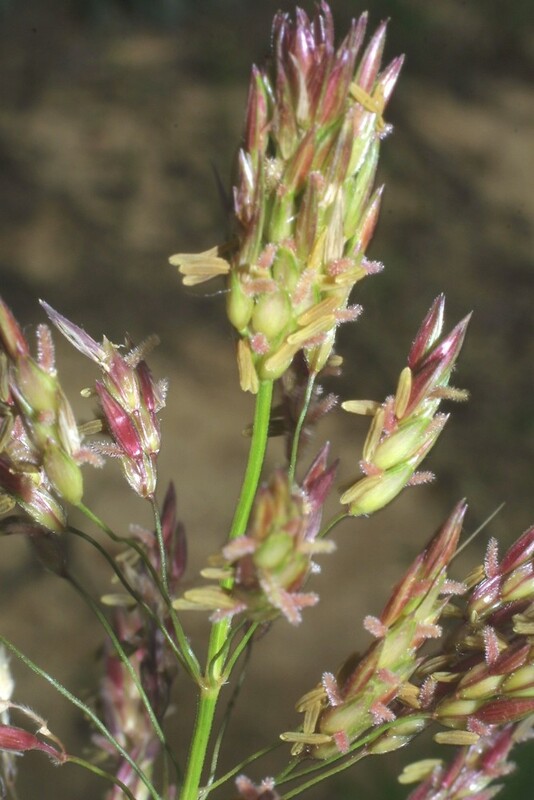 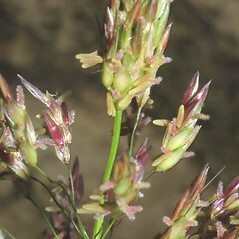 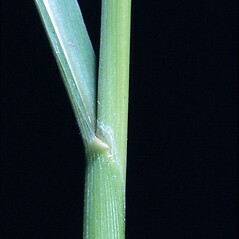 Holcus halepensis L. • CT, MA, VT; also reported from NH by Magee and Ahles (1999) and from RI by Seymour (1982), but specimens are unknown. 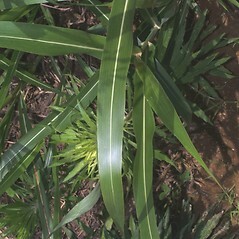 Fields, disturbed soil, areas of cultivation.